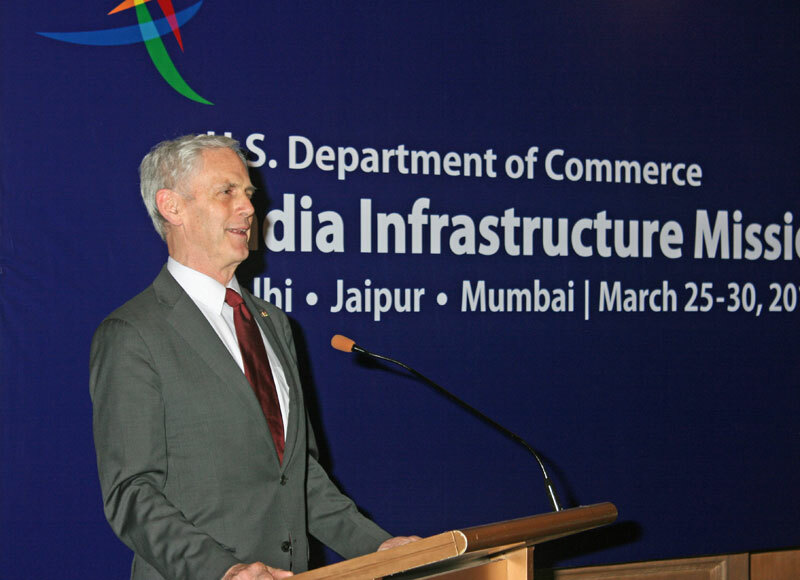 Commerce Secretary John Bryson today concluded his five-day business development mission in Mumbai, the commercial center of India. Today’s visit focused on promoting tourism for Indian citizens who want to visit America, as well as exploring opportunities for U.S. companies to promote their technologies and services in India’s rapidly expanding infrastructure sector to support job creation in both countries. Bryson had the opportunity to participate in the official launch of the Visit USA Committee India (VUSACOM), a public-private partnership whose sole mission is to promote and increase travel and tourism from India to the United States. VUSACOM members include travel agents, tour operators, service providers, and U.S. product representatives. In 2011, the United States had a $2.2 billion surplus in travel and tourism from India, and total spending by Indians traveling to the U.S. was almost $4.6 billion in 2011, up 15 percent from 2010. In addition, the number of Indian travelers to the U.S. reached a record 663,000 in 2011. In addition to meeting with government officials in Mumbai, Bryson hosted a luncheon with companies that help finance infrastructure projects as well as a roundtable with companies that are involved in energy-related infrastructure projects. 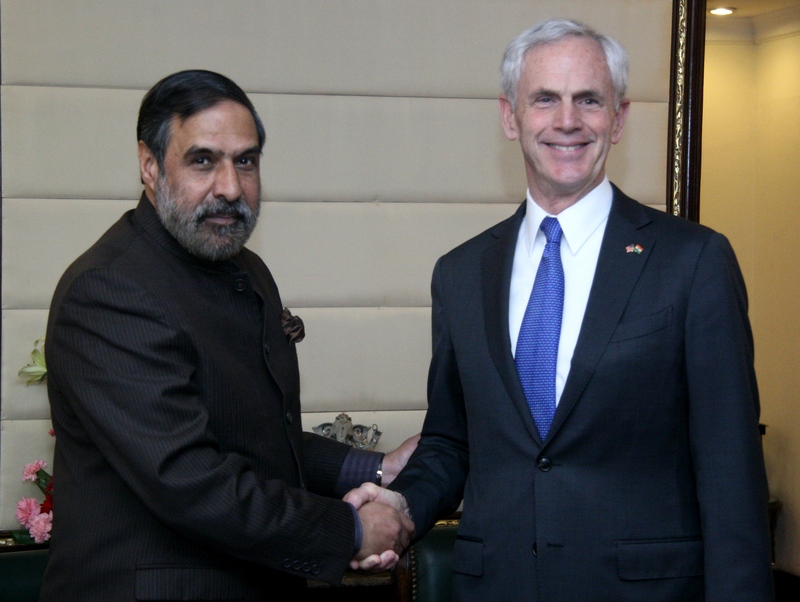 In both, he talked with U.S. and Indian business leaders about the importance of the U.S.-India commercial relationship and he encouraged development of new business opportunities between the members of the delegation and their Indian counterparts. He also talked about the great progress India has made in opening its markets to U.S. companies, but encouraged continued consultations to resolve issues such as market access barriers and intellectual property protection. EHDD Could Not Have Asked For A More Inspiring and Productive Day! Ed. Note: EHDD is a San Francisco-based architecture and planning firm that pioneered green building in California. We met with Amity University representatives from their Noida campus on Monday in Delhi. After an exciting conversation about the extensive expansion plans at Amity, and knowing we were on our way to Jaipur, they invited us to make a presentation to their students and colleagues at Amity University, Jaipur. Upon our arrival in Jaipur, Preetha Nair excitedly showed us the front page of The Times of India where our lecture was announced with "limited seating available"! We took the morning off from the official business of the delegation and visited Amity University's Jaipur campus, where we were welcomed by Vice Chancellor Singh, his deputies, faculty and students. We spent time in a seminar format answering very challenging questions from the architecture students about climate change, the Kyoto Protocol and the efficacy of passive design strategies in buildings. We were imminently impressed with water research presented by a faculty member from the civil engineering department. After our lecture, to some 400 students and faculty, titled, "The Future of Green Building and Planning on University Campuses," we shared more time with students and toured campus buildings. We could not have asked for a more inspiring and productive day! And this was only one experience-there have been countless more. As Senior Adviser to the Deputy Secretary, I support accomplishment of the mission of all of our operating units. My job requires a combination of problem-solving, coordinating across bureaus and offices, and connecting people to the resources they need to successfully deliver results to the American people. Much of the time, this involves working to improve the way we do things–how to be more effective and efficient in our processes-and measuring our progress towards our goals. The work is always interesting because I get to work with very dedicated people who deliver results across the broad portfolio of the Commerce Department. The people of the Department of Commerce are delivering results in areas as diverse as supporting the growth of regional economic clusters; managing grants to build broadband networks; providing severe weather warnings earlier than ever before; delivering cutting edge measurement science and protecting our business’ intellectual property. I have been working for 32 years and have been very fortunate in my career. My good fortune started with parents who supported all three of their daughters by setting high standards; by instilling a strong work ethic, perseverance and a “can do” attitude and by teaching us to live by the Golden Rule. I was fortunate to enjoy the process of learning and receive a wonderful formal education. And finally, I have been fortunate in the support of many mentors, both formal and informal, throughout my career. Commerce Secretary Bryson was in Mumbai today, the third and final city in his business development mission to India. In addition to exploring opportunities for the 16 U.S. businesses on the mission to promote their technologies and services in India’s rapidly expanding infrastructure sector, the visit focused on the president’s SelectUSA initiative. In the morning, Secretary Bryson and the delegates toured a new terminal being constructed at Mumbai International Airport and met with airport management. Several U.S. companies have provided services and equipment to the airport, playing a major role in helping to modernize one of India’s busiest airports. 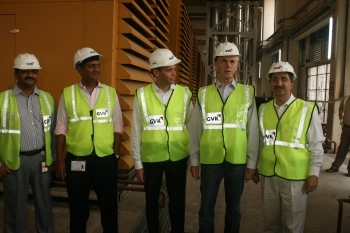 One of the firms on the trip, CH2M Hill, has been providing Program Management services at the Mumbai International Airport since the project started in 2007. In their role, CH2M Hill optimised the master plan, prepared detailed elements for tendering and provided inputs for the selection of the contractor and various sub-contractors. They have also provided oversight to ensure that both the cost and schedule are effectively managed as the construction progresses. This has been accomplished by providing a mix of specialist aviation experts from the US and local trained resources. ED Note: LORD Corporation designs, manufactures and markets mechanical devices and electromechanical systems to control vibration, motion, and noise; formulates, produces and sells general purpose and specialty adhesives, coatings, and electronic materials; and develops products and systems utilizing magnetically responsive technologies. 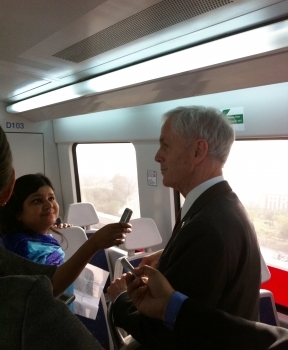 We are honored to participate in U.S. Secretary of Commerce John Bryson’s first trade mission to India. With global corporate headquarters in Cary, North Carolina, our company has plans to grow its business in India, and Secretary Bryson’s trade mission is helping us connect to new opportunities and develop new critical relationships. The agenda has enabled us to interact with Indian government and business leaders to gain a better understanding of where emerging market needs intersect with our solutions and products. Secretary Bryson and his team have put together a packed agenda that is opening doors to senior-level decision-makers in this dynamic and growing market. 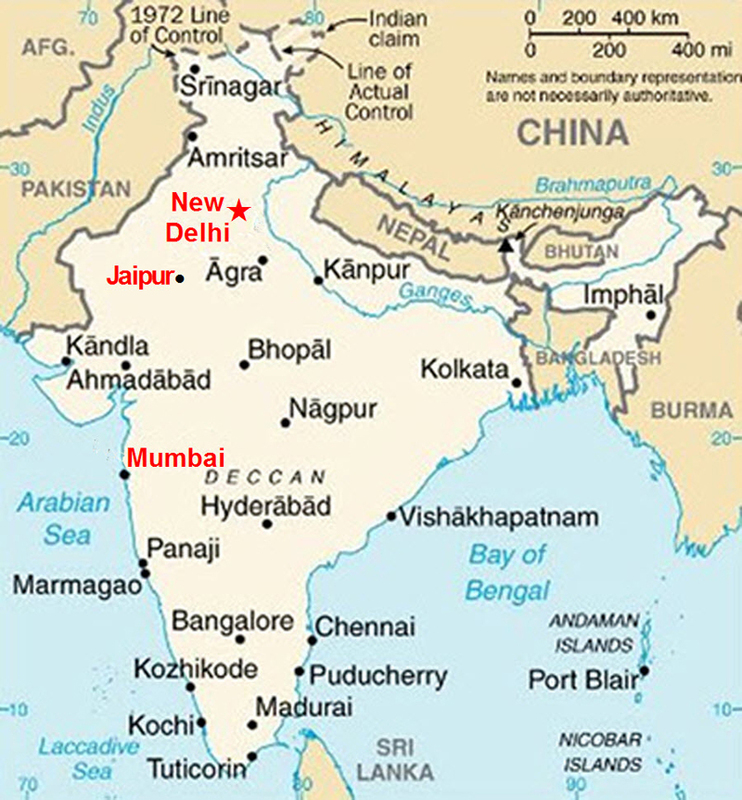 With stops in New Delhi, Jaipur and Mumbai, we are meeting with a variety of companies and government executives. We are learning more about emerging opportunities through these sessions, and building new relationships that will create value for our presence in India. In a first ever visit to Jaipur by a U.S. Commerce Secretary, Secretary Bryson led his 16-business trade delegation there to see first-hand the vast business opportunities available in India’s rapidly expanding infrastructure sector and to promote bilateral cooperation on innovation. Upon arrival in Jaipur, Secretary Bryson and the delegation met with senior Rajasthan state government officials and business leaders to explore how U.S. technology and products can support Rajasthan’s infrastructure development goals. 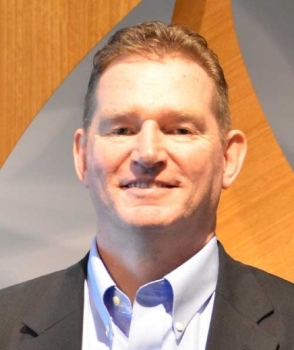 Bryson said he is confident that trade between the U.S. and Rajasthan will grow substantially as a result of this mission. He also gave remarks before a group of Rajasthan industry representatives, where he discussed trade and investment opportunities that benefit both the United States and India. Bryson said the bilateral investment relationship between the U.S. and India is stronger than ever. U.S. direct investment in India is now over $27 billion across a wide range of sectors including services, manufacturing, information and technology. At the same time, India is a fast-growing source of foreign direct investment into the United States. Indian companies employ tens of thousands of American workers in professional, technical, and scientific services – as well as other industries. Bryson welcomed this increase in foreign direct investment in American companies and economy. 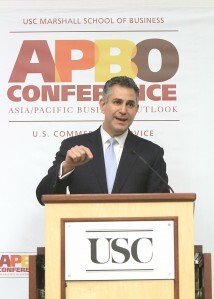 This is my second year keynoting the 25-year old USC Marshall School’s Asia Pacific Business Outlook (APBO) Conference. It was great to see the diversity of participants, from representatives of businesses across the United States, as well as non-profit organizations, chambers of commerce, and trade associations from both the United States and countries in Asia and Latin America. It seems as though it’s also a reunion and convergence of sorts of 16 Senior Commercial Officers (SCOs) from Asia and local Commercial Service trade specialists. For the first time, we have the SCOs from Brazil and Russia joining the conference, contributing their insider knowledge and providing market briefings in one-on-one counseling sessions. During my address yesterday, I was able to outline our ongoing priorities here at the International Trade Administration and across the Obama Administration as well as provide updates on some major accomplishments achieved in the past few years. This month marks the two-year anniversary of the President’s National Export Initiative and good things are happening. Last year, U.S. exports surpassed $2 trillion for the first time in history. They supported nearly 10 million jobs, an increase of more than a million when compared to 2009 numbers. So the formula is pretty clear: exports benefit jobs, businesses and the national economy. That’s why we’ve got to continue to increase U.S. exports. 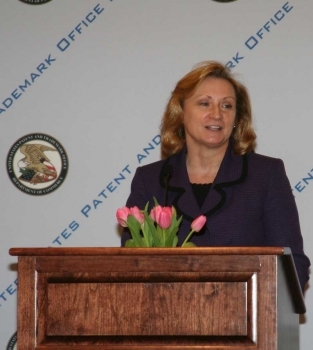 As Commissioner for Trademarks at the United States Patent and Trademark Office (USPTO), I oversee all aspects of the USPTO’s Trademarks organization including policy, operations and budget relating to trademark examination, registration and maintenance. The main functions of the Trademark office are the examination of applications for registration and the maintenance of those registrations. Trademarks are an important form of intellectual property that can be a company’s most valuable asset. Trademarks also serve a vital function in protecting consumers from confusion about the source of goods and services in the marketplace. 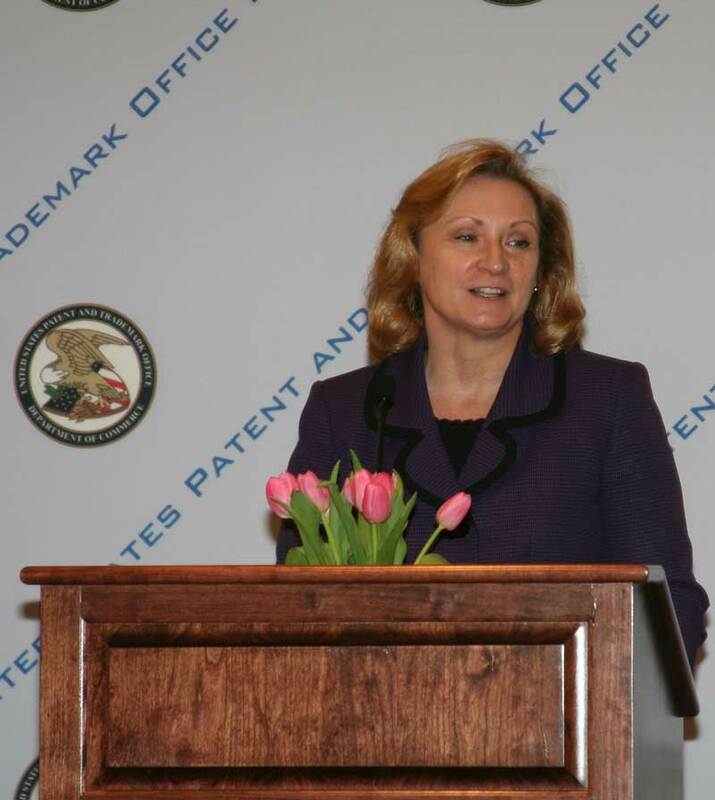 I first joined the USPTO in 1983 as an examining attorney. I was extremely fortunate because trademark law was an area that I enjoyed in law school and government service was very appealing to me. At that time, the majority of examining attorneys were men, but today, 67 percent of our examining attorneys are women! This is due in part to an increasing number of women in law over the past few decades, but the high percentage of women is also due to the flexibility here at the USPTO which allows employees to successfully balance work and family life. Telework and flexible schedules allow employees to create the environment that works best for them. Women’s History Month means a great deal to me. As women’s roles have changed and expanded, many occupations that were traditionally filled primarily by men have benefited from the great talent and hard work of women. Here at the USPTO, I have been lucky enough to work with some terrific leaders who happen to be women. 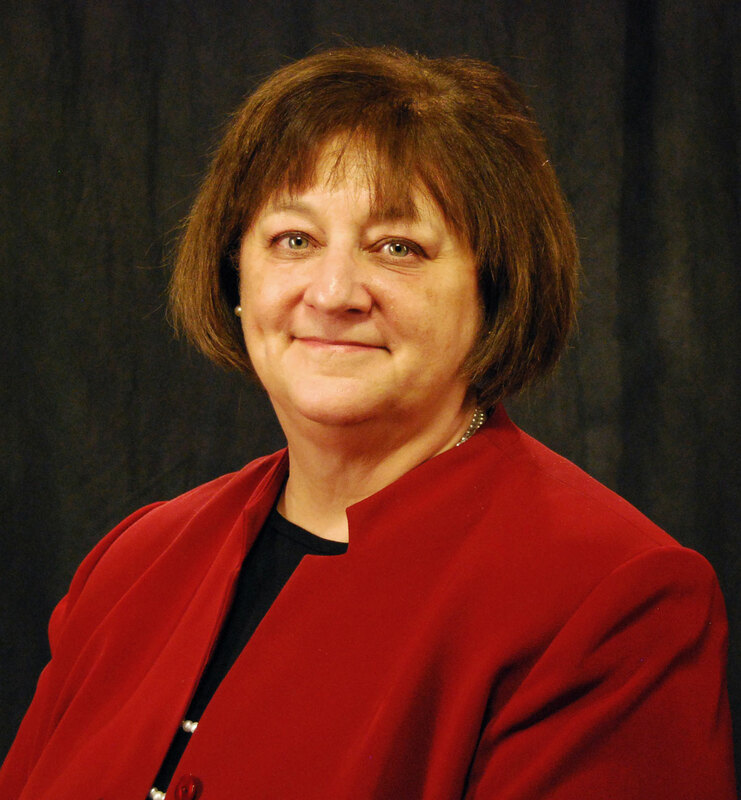 For example, my former boss, former Commissioner Lynne Beresford, was a great mentor and role model. Today marked the official start of Secretary Bryson's five-day trade mission to India. In the morning he met with Deputy Chairman of the Planning Commission Montek Aluwalia to discuss ways to strengthen the U.S.-India commercial relationship. He also spoke at an infrastructure roundtable discussion sponsored by the Confederation of Indian Industry (CII). India is planning to invest $1 trillion in infrastructure development over the next five years, and U.S. companies are in a unique position to offer their skills and expertise in partnership with Indian firms. Secretary Bryson also witnessed the signing of two U.S. Trade and Development Agency grants supporting U.S. business investments in India’s energy infrastructure development. The first grant will support a feasibility study for Azure Power, a private sector solar power developer based in India. The second grant will finance a feasibility study for CESC Limited for the implementation of smart grid technologies across their electricity distribution networks in Kolkata, India. During his address at a luncheon hosted by the Federation of Indian Chambers of Commerce (FICCI), Secretary Bryson announced that the U.S. Department of Commerce and India’s Ministry of Commerce and Industry have taken steps to renew the U.S.-India Commercial Dialogue for an additional two-year term, until March 2014. The Commercial Dialogue is a key component of the bilateral commercial relationship and provides a forum for both the U.S. and Indian governments and private sectors to collaborate on issues of mutual interest, ensuring that the trade relationship is “win-win” for both countries. 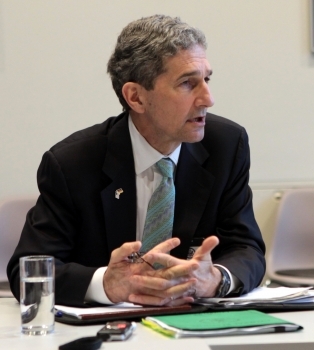 The agenda has been expanded to cover new areas of engagement on topics such as standards–including smart grids, intelligent transportation systems–and sustainable manufacturing. Ed note: Autodesk, Inc., works in 3D design, engineering and entertainment software. Customers across the manufacturing, architecture, building, construction, and media and entertainment industries-including the last 17 Academy Award winners for Best Visual Effects-use Autodesk software to design, visualize and simulate their ideas. Since its introduction of AutoCAD software in 1982, Autodesk continues to develop the broadest portfolio of state-of-the-art software for global markets. 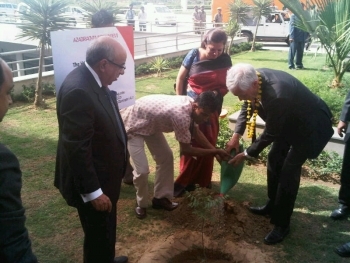 Autodesk is honored to be a representative on this trade mission to India. On behalf of Autodesk, I thank the U.S. Commerce Department and Secretary Bryson for organizing the trip and inviting Autodesk. This trade mission is focused on infrastructure business development. With 1.2 billion people, India is the second most populous country in the world. India’s population is expected to overtake China’s in the next 10 to 15 years. The country needs to add 25 million homes a year to meet current demand, according to McKinsey and Co. There is also a pressing need for clean water, reliable power, transportation, sustainability standards and more. The Mumbai Monorail, the nation’s first monorail. Once completed, it will be the world’s second-longest Monorail corridor. This sustainable transportation system will alleviate congestion in India’s most populous city. Navi Mumbai International Airport, which is expected to have Phase 1 operational by 2014. There is great demand for this additional international airport to service the Mumbai metropolitan region. It is expected to handle 50-55 million passengers annually. Autodesk has offices in New Delhi, Bangalore, Mumbai, Pune and Chennai. We also have over 100 Indian resellers. Together, we work closely with Indian customers across many industries, including architecture, engineering, construction, manufacturing and media and entertainment. Going into the trade mission, Autodesk is looking forward to productive meetings with government agencies and private companies. We strive to be a trusted technology advisor for more infrastructure projects in India. This weekend I am departing for India, where I will be leading a trade mission with 16 American companies. This will be my first trade mission and I am really looking forward to it. I will be meeting with senior level Indian government officials to advocate for U.S. export opportunities in India’s rapidly expanding infrastructure sector, and promote investment opportunities in America–both key priorities of President Obama and this Administration. India’s growth over the last decade has resulted in increased demand for products and services from countries like the United States. America’s exports to India have grown from less than $4 billion in 2001 to over $21 billion in 2011. Going forward, India is expected to spend over $1 trillion on infrastructure development over the next five years, and a growing consuming class could lead to increased demand for a range of consumer goods and services. Among other things, this trade mission supports President Obama’s National Export Initiative goal of doubling U.S. exports by the end of 2014 to create more good-paying jobs. Last week, on the two year anniversary of the creation of the NEI, the Commerce Department released new data showing that jobs supported by U.S. exports increased by 1.2 million between 2009 and 2011, and the value of U.S. exports exceed $2.1 trillion for the first time in U.S. history. I direct the Demographic programs at the Census Bureau. We calculate annual population estimates for each area of the US, calculate the official poverty rate numbers, and work with data from the decennial census and the American Community Survey to create numerous reports and products that inform our nation about the changing characteristics of our growing population. We also conduct surveys on behalf of other Federal agencies such as the National Crime Victims Survey, which the Bureau of Justice Statistics uses to calculate the crime rate, the Current Population Survey, which the Bureau of Labor Statistics uses to calculate the unemployment rate each month, and many others. One unsung area of the Census is our strong international program. That group, in cooperation with USAID and other agencies, offers technical assistance to countries on how to set up their own scientific and objective statistical activities and conduct censuses and surveys of their population. 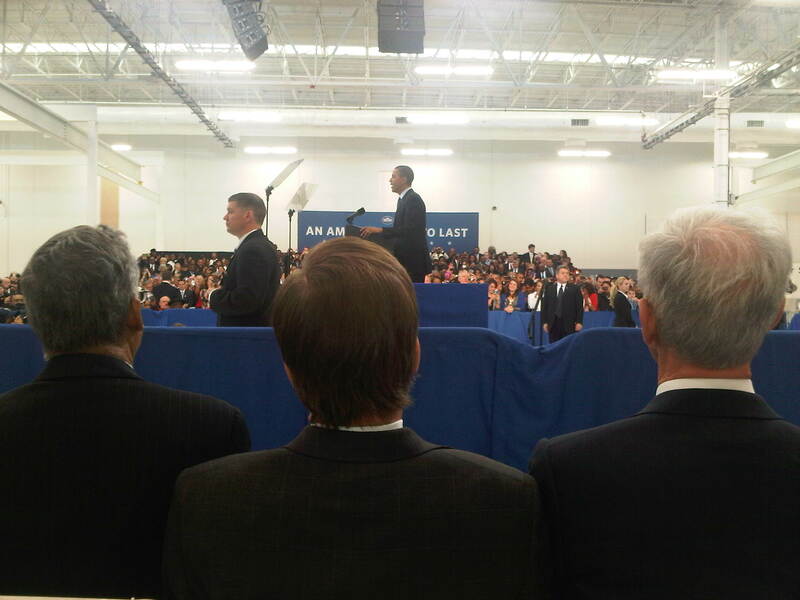 The President has laid out a vision to build an America that lasts, and the Census Bureau contributes to that future. Much of the data that we produce is used by state and local Economic Development Authorities to bring businesses to their area. Businesses use the information to make relocation decisions and to target their marketing appropriately. We also report, at various geographic levels such as states, counties, cities, and small towns, on educational attainment, income, poverty, how people make various use of government assistance programs, and other critical information needed to inform our communities on how we as a nation are doing and where we need to invest our resources to strengthen our future. Without the data collected by the Census Bureau, we would not have the information we need to grow our economy, create jobs, improve our schools, build roads, and other activities critical to our civil society. I grew up in Detroit, but have been living in the Washington, DC area for many years now. I earned my Masters in Administrative Science from the University of Alabama and then became a Presidential Management Fellow at the US Department of Transportation. I went on to earn my Ph.D. in Public Policy and Public Administration from the George Washington University. Since I enjoy school and learning so much, I’ve returned as an adjunct professor there, teaching in the Trachtenberg School of Public policy and Public Administration. 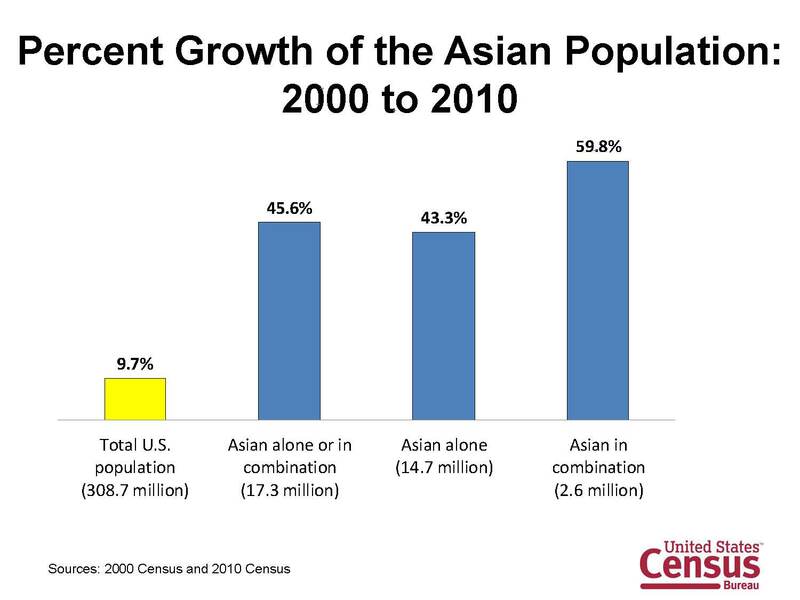 Commerce's Census Bureau has released a 2010 Census brief, The Asian Population: 2010 (PDF), that shows the Asian population grew faster than any other race group over the last decade. 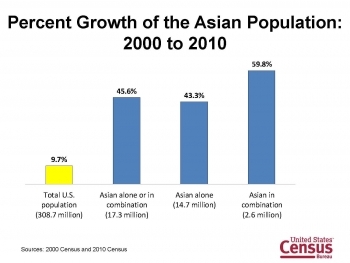 The population that identified as Asian, either alone or in combination with one or more other races, grew by 45.6 percent from 2000 to 2010, while those who identified as Asian alone grew by 43.3 percent. Both populations grew at a faster rate than the total U.S. population, which increased by 9.7 percent from 2000 to 2010. As Deputy Under Secretary of Commerce for Intellectual Property, I work alongside David Kappos in advising the President of the United States, and other members of the Obama administration, on matters relating to Intellectual Property (IP) policy. When wearing my Deputy Director of the United States Patent and Trademark Office (USPTO) hat, I help oversee the process by which our nation grants IP rights for cutting-edge innovations and technological breakthroughs. By protecting brands and ideas through trademarks and patents, companies are more readily able to attract investments, hire more employees, spur additional research & development, distribute their products in the marketplace and spawn new growth in new industries. This month, more than a million visitors from across the country and around the world are coming to our nation’s capital to see the cherry blossom trees that bloom each spring among some of America’s most treasured historical landmarks. From the purchase of airline tickets to dining in area restaurants to staying in hotels, these visitors are infusing millions of dollars into the community and supporting local businesses. As we search for ways to grow our nation’s economy, we must not overlook the travel and tourism industry as a source for economic opportunity. According to data released by the Commerce Department earlier today, tourism spending increased 8.1 percent in 2011 and supported an additional 103,000 jobs, for a total of 7.6 million jobs. A big factor in the increase was a surge in international visitors to our country: in 2011, 2.5 million more international visitors came to the United States compared with the previous year. These international visitors spent an all-time record of $153 billion on U.S. travel and tourism-related goods and services. As this data reveals, the travel and tourism industry is one of the most important engines of our economy—in fact, it is our number-one service export. That is why President Obama recently announced the creation of a Task Force on Travel and Competitiveness, which charged us with leading efforts to develop recommendations for a National Travel and Tourism Strategy to promote travel throughout the United States. How does Commerce’s Antidumping and Countervailing Duty Investigation Process Work? In the next few weeks, the Department of Commerce is scheduled to release a series of determinations regarding antidumping (AD) and countervailing duty (CVD) investigations. In light of this, we wanted to share an explanation of the process. Following U.S. law, regulation, and consistent with international trade rules, the Department of Commerce (Commerce) has the authority to conduct investigations of the alleged subsidization or dumping of foreign products sold in the United States. If a U.S. industry believes that it is being injured by dumped or subsidized imports, it may request the imposition of antidumping or countervailing duties by filing a petition with both the Department of Commerce and the United States International Trade Commission (ITC). Import Administration is the agency within Commerce’s International Trade Administration that investigates foreign producers and governments to determine whether dumping or subsidization has occurred and calculates the amount of dumping or subsidization. If Commerce determines that a petition satisfies all requirements under the law to initiate an investigation, the agency will publish a Notice of Initiation in the Federal Register. The Notice of Initiation will lay out a general history of the proceeding, including dates of official filings as well as the scope of the investigation, explain how Commerce went about making a determination of industry support, and details how the petitioners went about estimating the existence of dumping or subsidization. 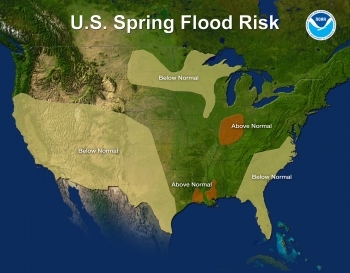 For the first time in four years, no area of the country faces a high risk of major to record spring flooding, largely due to the limited winter snowfall, according to NOAA’s annual Spring Outlook, which forecasts the potential for flooding from April to June. Today, Commerce Secretary John Bryson met with a number of U.S. ambassadors to countries where SelectUSA, the first federal initiative to help drive investment to the United States to create American jobs, is being implemented. The Commerce Department recently launched SelectUSA in ten countries, including China, Brazil, India and South Korea, and their discussion focused on opportunities for further collaboration. The ambassadors were visiting Washington as part of the State Department’s Global Chiefs of Mission Conference. One of Secretary Bryson’s top priorities is attracting more investment to the United States to create good American jobs. The Commerce Department, through SelectUSA, is helping to tell the story of why America is the best place for companies from around the world to invest, to hire and to build the future of their businesses. 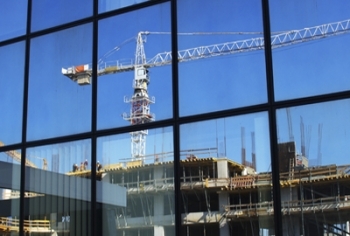 As part of SelectUSA, the Commerce Department will serve businesses seeking to invest or expand in the U.S. and the state, cities and regions that they seek to attract and host the business. SelectUSA serves as an information clearinghouse on federal rules, regulations and resources; advocates on behalf of the U.S. as the premier investment destination; and functions as an ombudsman to resolve federal-level problems, issues and impediments to investment. The Commerce Department just finished two-day training sessions with commercial service officers in ten fast-growing pilot markets to conduct outreach to potential investors and perform SelectUSA investment promotion. Together, these countries represent approximately 30 percent of all foreign direct investment (FDI) in the United States. They also reflect both the largest and fastest growing sources of FDI, as well as posts that have been the most active on investment promotion issues. 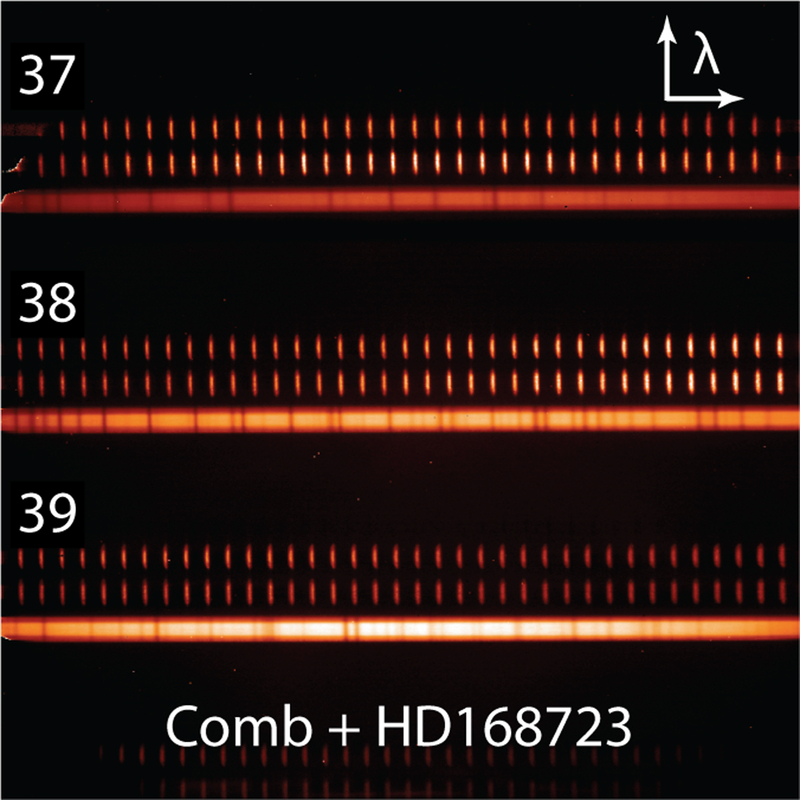 If there is life on other planets, a laser frequency comb developed at Commerce's National Institute of Standards and Technology (NIST) may help find it. 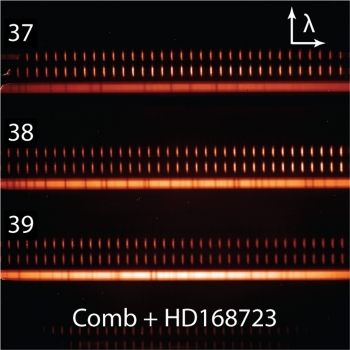 The comb was transported to the Texas mountains to calibrate a light analyzing instrument called a spectrograph at the Hobby-Eberly telescope. A University of Colorado Boulder (CU) astronomer and Pennsylvania State University students and astronomers collaborated on the project. 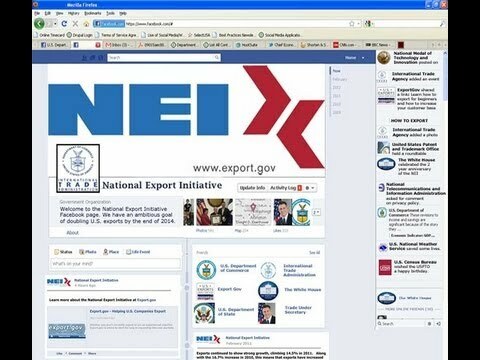 Today marks the two-year anniversary of the signing of the Executive Order creating the National Export Initiative (NEI), when President Obama set the ambitious goal of doubling U.S. exports over five years. To mark this anniversary, we released new data today showing that jobs supported by U.S. exports increased by 1.2 million between 2009 and 2011. Building on strong growth in 2010, exports supported approximately 9.7 million jobs in 2011 and the value of U.S. exports of goods and services exceeded $2.1 trillion for the first time in U.S. history. This new data further confirms the good news that exports support an increasing number of American jobs. At the same time, it is also a reminder that we cannot afford to let up on our efforts to help U.S. businesses build it here and sell it everywhere. We must maintain the track record of the past two years and intensify our support of U.S. companies in selling their goods to the 95 percent of the world’s consumers who live beyond our borders by helping to create opportunities and a level playing field. We know that when American businesses and workers get a fair shot, they can compete and they can win. Earlier today – on the second anniversary of the President’s National Export Initiative – Commerce Secretary John Bryson announced that the number of American jobs supported by U.S. exports increased 1.2 million from 2009 to 2011. In total, U.S. exports now support 9.7 million jobs, serving as a bright spot in our economy, and helping to fuel our economic recovery. In addition, last year, there were a record $2.1 trillion in U.S. exports. And there is a lot more room to grow. Never has that been more clear than today. 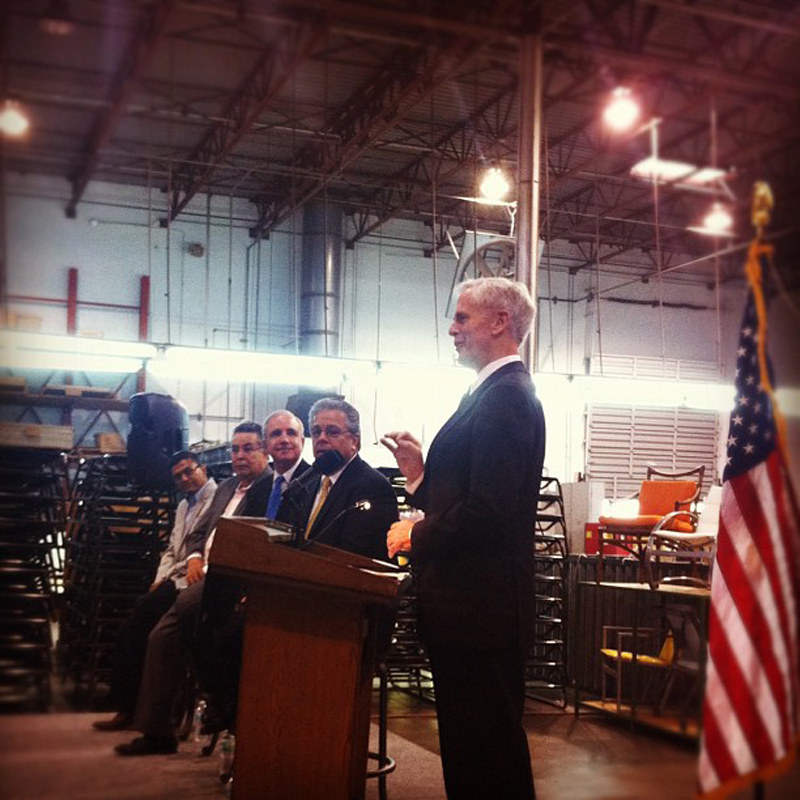 I was in Baltimore this morning to see our efforts to support U.S. exporters first-hand. 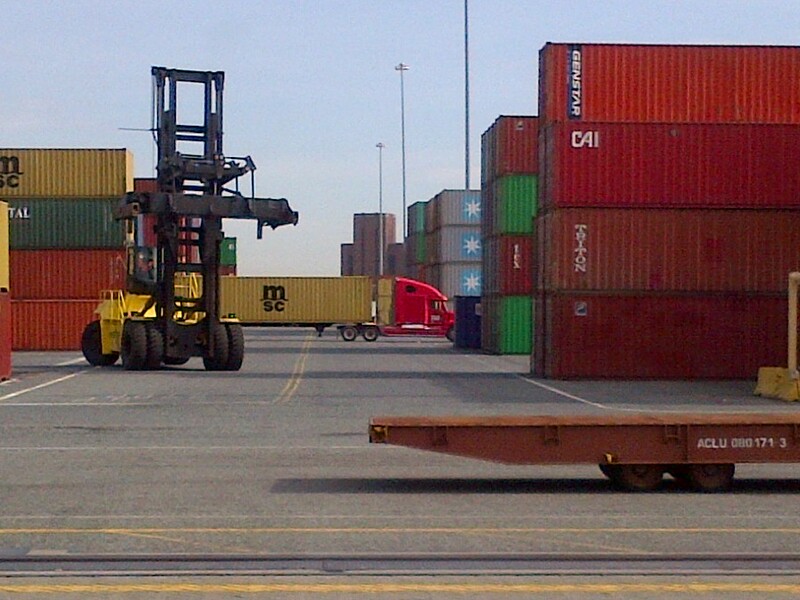 The Port of Baltimore – one of the top ports in the country – handles around 30 million tons of cargo and 400,000 containers annually. As the head of the U.S. Department of Commerce’s International Trade Administration (ITA), I was proud to sign a Memorandum of Agreement with the Port of Baltimore to expand cooperation on export promotion activities here at home. The Port was also one of 12 U.S. organizations that participated in the February 2012 ports trade mission to India that I led on behalf of the Department of Commerce. During this mission, the Port of Baltimore signed a sister-port Memorandum of Understanding with the Mundra Port, in an effort to increase trade between the two ports. 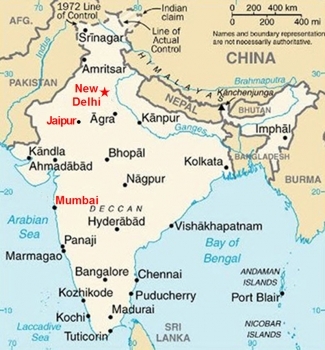 Two way trade between India and the U.S. grew to $58 billion in 2011 and is an NEI priority market. That is why Secretary Bryson will be leading his first trade mission to India at the end of the month to further opportunities for U.S. businesses in this region. 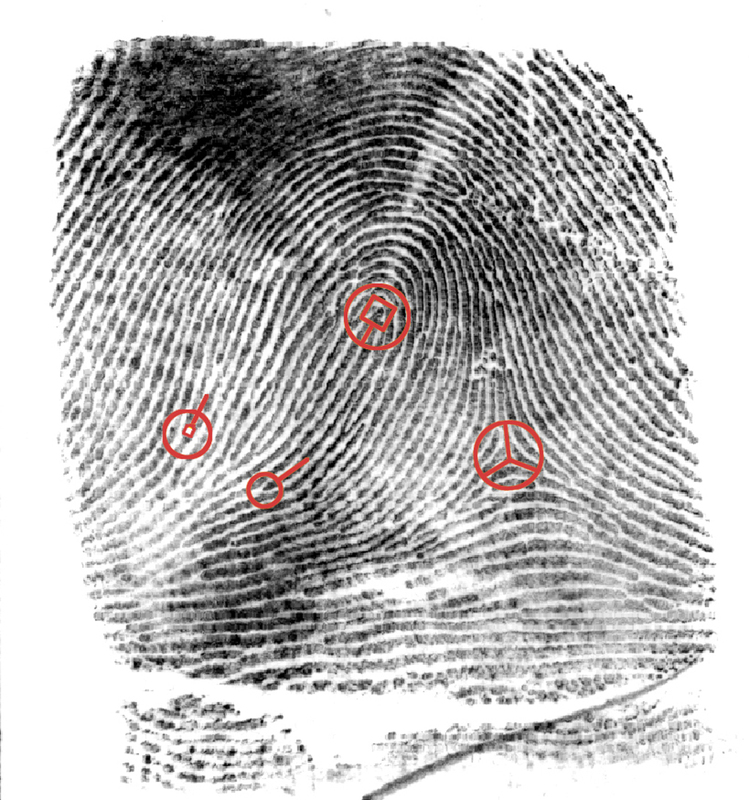 Anyone who enjoys police dramas on TV knows that biometrics such as fingerprints and DNA are used to match criminals to crimes. 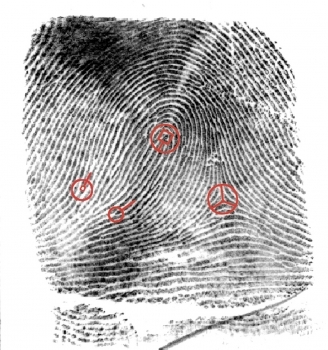 But increasingly, biometrics are being used in public and private arenas to ensure access to computers and buildings, or to authenticate that you are really you when traveling internationally with an e–passport. One day, biometrics may be used to authenticate who you are when banking or buying something on the Internet. Last week, biometric experts from across the globe have been attending the International Biometric Performance Conference at Commerce's National Institute of Standards and Technology (NIST) in Gaithersburg, Md. This applied research conference was focused on identifying fundamental, relevant, effective and new performance metrics for biometric systems and determining and sharing best practices for performance evaluation and calibration as they relate to design specifications and day-to-day operations. 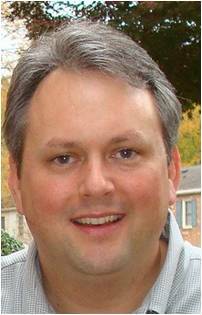 The goal is for people and computer systems to know reliably who is who. President Obama declared March 4-10, 2012 as National Consumer Protection Week, building on a coordinated effort that encourages consumers nationwide to take full advantage of their consumer rights and make better-informed decisions. The Commerce Department is using this occasion to showcase the efforts of our Internet Policy Task Force, which is leveraging the expertise of several Commerce bureaus that are aimed at ensuring continued innovation in the Internet economy and preserving consumer trust in Internet commerce and online interactions. In particular, the Task Force continues to move forward in our work to promote new efforts that will lead to improved Internet privacy protection and better security for consumers online. In September, the National Institute of Standards and Technology (NIST) and The National Telecommunications and Information Administration (NTIA) in cooperation with the Department of Homeland Security, released Request for Information (RFI) to focus on the growing concern around a specific Internet security risk related to "botnets." While security risks on the Internet continue to exist in many areas, one increasingly exploited threat is the global rise of botnets. A botnet infection can lead to the monitoring of a consumer's personal information and communication, and exploitation of that consumer's computing power and Internet access. Researchers suggest an average of about 4 million new botnet infections occur every month. America is made up of different communities — each with its own character, challenges and opportunities. Regional leaders have a unique view of these issues and bring to the table incredible insight into their respective regions. That’s why the International Trade Administration (ITA) is firmly committed to working with these local leaders to utilize their insight, and ultimately help more American businesses expand into overseas markets. This is important work because exporting supports American jobs, provides new opportunities for businesses, and makes significant contributions to the growth of the American economy. In recognition of these positive economic benefits, President Obama launched the National Export Initiative (NEI) in 2010 with the goal of doubling U.S. exports. On the eve of the NEI’s two-year anniversary — officially on March 12 — I’m proud to say that we are on track to meet this goal. Last year, there were a record $2.1 trillion in exports. Plus, exports comprised nearly 14% of U.S. GDP — another record. Progress has been made, and we are determined to keep it going. Key to this work is our partnerships with local and regional partners. While ITA has a talented and dedicated staff doing great work in 108 offices throughout the nation, we recognize that we can have an even greater reach through partnership. 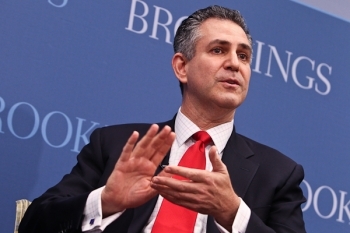 Case in point: Our work with the Brookings Institution. Yesterday, U.S. Commerce Secretary John Bryson delivered remarks at a meeting of the Advanced Manufacturing Partnership (AMP) Steering Committee. At yesterday’s meeting, held at the White House, the Steering Committee discussed recommendations targeting issues in manufacturing, focusing on technology development, policy, education and workforce development, and shared facilities and infrastructure. 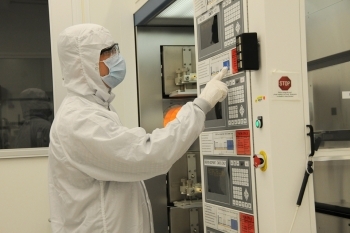 AMP is a collaboration between industry, academia and government leaders to accelerate the development of the U.S. advanced manufacturing sector and to shape the administration’s Advanced Manufacturing Strategy. AMP is guided by a Steering Committee, which is co-chaired by Andrew Liveris, President, Chairman and CEO of the Dow Chemical Company, and Susan Hockfield, President of the Massachusetts Institute of Technology. 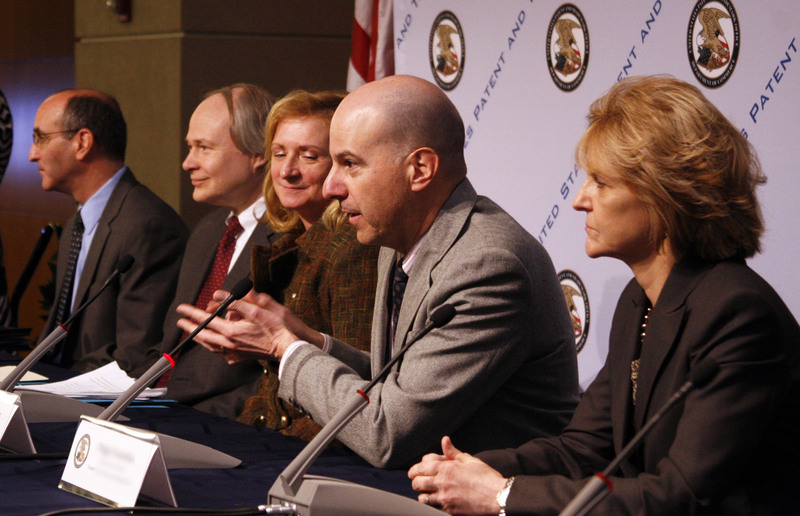 Their final report will be reviewed by PCAST, the President’s Council of Advisors on Science and Technology, in April. Though AMP is still at work on the recommendations, several were prioritized for early action and implementation by Secretary Bryson. Each year, the United States experiences approximately 1,300 tornadoes. No state is invulnerable to the twisting, destructive winds that emanate from dark thunderstorms–and last week, Nature’s fury was focused on the central and southern states. 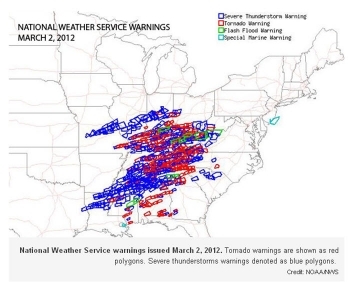 Commerce's National Oceanic and Atmospheric Administration (NOAA) has in place a multifaceted tornado early warning system that includes general area outlooks days in advance and that gives individual cities and towns an average of 14 minutes warning before the potentially deadly tornadoes strike. Through a tremendous investment in research, observing systems and forecasting technology, NOAA’s National Weather Service issues more than 1,000 watches and nearly 30,000 warnings for severe storms and tornadoes each year. On February 29, 2012 that investment resulted in an outlook issued by NOAA’s Storm Prediction Center a full three days ahead of the deadly outbreak. This outlook advised forecasters and the emergency management community that conditions would become favorable for severe thunderstorms and tornadoes. Advances in research and technology have increased the average warning lead time from only five minutes in the early 1990s to 14 minutes in 2010, thereby giving people and communities more time to seek shelter and reducing loss of life. But technology can only do so much; individuals also need to be prepared for disaster. Visit www.ready.gov to learn more. NOAA Weather Radio webpage The Weather Channel, "Tornado Outbreak: As It Happened"
As I flew into the Windy City today, I couldn’t help but marvel once again at the ideas and innovations that continue to shape our lives in a myriad of ways we take for granted—from the thousands of components and systems in the airplane that brought me here to chips in my smartphone—patented and trademarked technologies that seek protection from the United States Patent and Trademark Office are constantly shaping the way we conduct our daily lives. So in order to best communicate historic changes to our nation’s patent system, I hit the road. And ever since kicking off our America Invents Act (AIA) roadshows in Alexandria, Virginia on February 17, Deputy Director Terry Rea and I have been privileged to meet with some of the inventors and entrepreneurs behind our nation’s greatness—remarkable men and women in exciting hotbeds of innovation as diverse as Sunnyvale, California; Salt Lake City; Dallas; Fort Lauderdale, Florida; Boston; and Chicago, with a final hearing to be held in San Diego on Friday. 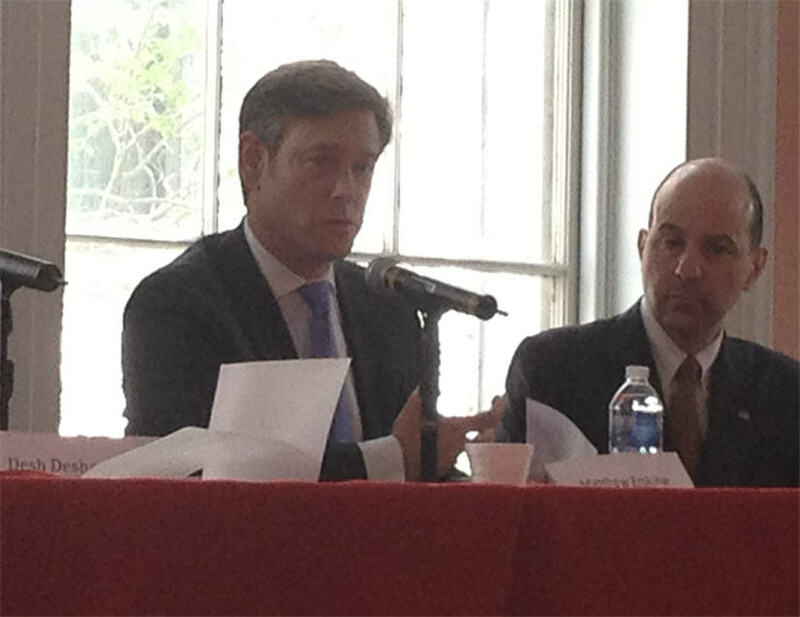 The goal of these roadshows and hearings has been twofold: first, to explain the thinking behind the proposed rules for various provisions under the AIA—including new systems to challenge and evaluate patents, like supplemental examination, inter partes review, and post grant review. And second, to conduct a spirited and productive dialogue with our user community, whose input is vital to our mission of building a 21st century patent system. These efforts not only help advance President Obama’s strategy for unleashing American innovation, but it also supports Secretary Bryson’s commitment to leveraging intellectual property to boost American manufacturing, American exports and American jobs. On Monday, President Obama declared March 4-10, 2012 as National Consumer Protection Week, building on a coordinated effort that encourages consumers nationwide to take full advantage of their consumer rights and make better-informed decisions. The Commerce Department is using this occasion to showcase the efforts of our Internet Policy Task Force, which is leveraging the expertise of several Commerce bureaus that are aimed at ensuring continued innovation in the Internet economy and preserving consumer trust in Internet commerce and online interactions. In particular, the Task Force continues to move forward in our work to promote new efforts that will lead to improved Internet privacy protection and better security for consumers online. One of the biggest problems facing consumers online is the heavy reliance on usernames and passwords. Most Internet users are asked to create so many logins and passwords that they have to create coping mechanisms to keep track of them all, from using the same one as often as possible to writing them all down, none of which lead to strong security practices. In fact, exploiting the inherent weaknesses of passwords was the top method attackers used last year, according to the 2012 Data Breach Investigations Report produced by Verizon. 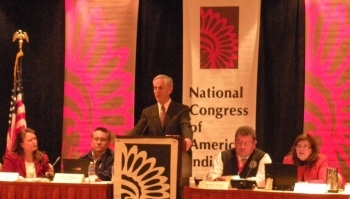 Today, U.S. Commerce Secretary John Bryson delivered remarks at 2012 Executive Council Winter Session of the National Congress of American Indians (NCAI), the oldest and largest national representative of Tribal Nations in the United States. Bryson spoke about Commerce Department initiatives to promote exports, job creation and infrastructure in Indian Country. 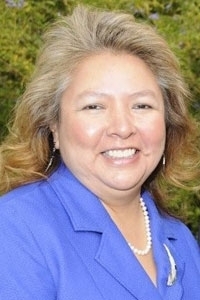 The Minority Business Development Agency helps Native American-owned companies in growing their businesses. Over the past several decades, MBDA has worked with approximately 80 percent of the tribes and assisted over 25,000 Indian enterprises. The Commerce Department has the lead federal role in implementing the President’s National Export Initiative, which aims to double exports by Native Americans and all U.S. companies by the end of 2014. For example, we have partnered with the University of Washington to develop the global marketing capacity of Native American tribes with a focus on tribal forest operations. The Commerce Department is a lead agency in promoting the Jobs and Innovation Accelerator Challenge, an unprecedented initiative to spur economic growth through public-private partnerships. The United Tribes Technical College in Bismarck, North Dakota will receive $1.6 million grant over four years to implement the Upper Missouri Tribal Environment Risk Mitigation cluster, which includes about 20 tribes. The funds will be used to provide training and education for about 1,000 people, support over 100 environmental technician jobs, and create about 15 new businesses. Through our broadband grants investment program, we are working to increase access to high-speed Internet in Native American communities. Commerce awarded grants to five tribal authorities for infrastructure and public computer center projects, a subset of the more than 60 broadband projects that will directly benefit tribal communities. This includes funding to deploy broadband infrastructure in the Navajo Nation, in an area covering 15,000 square miles in Arizona, Utah, and New Mexico, where many residents lack even basic telephone service. As part of the 2010 Census, the “Indian Country Counts Census Campaign” helped educate American Indians and Alaska Natives on the importance of returning their census forms. Overall, 5.2 million people, or 1.7 percent of the U.S. population, identified themselves as American Indian and Alaska Native. This was 27 percent increase in tribal population over 2000. We know that the federal government doesn’t have all the answers. But we also know that by working with people on the front lines, we can help identify what works and build on that. 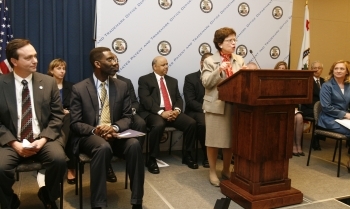 Today, President Obama declared March 4-10, 2012 as National Consumer Protection Week, building on a coordinated effort that encourages consumers nationwide to take full advantage of their consumer rights and make better-informed decisions. The Commerce Department is using this occasion to showcase the efforts of our Internet Policy Task Force, which is leveraging the expertise of several Commerce bureaus that are aimed at ensuring continued innovation in the Internet economy and preserving consumer trust in Internet commerce and online interactions. In particular, the Task Force continues to move forward in our work to promote new efforts that will lead to improved Internet privacy protection and better security for consumers online. In February, the Obama administration unveiled a “Consumer Privacy Bill of Rights” as part of a comprehensive blueprint to improve consumers’ privacy protections and ensure that the Internet remains an engine for innovation and economic growth. The president’s report called on the Commerce Department’s NTIA to begin convening companies, privacy advocates and other stakeholders to develop and implement enforceable privacy policies based on the Consumer Privacy Bill of Rights. NTIA is now moving forward and seeking public input on what issues should be addressed through the privacy multistakeholder process and how to structure these discussions so they are open, transparent, and most productive. Today, NTIA issued a formal request for comment (PDF). The comment period will remain open until March 26, 2012. As NTIA Administrator Lawrence Strickling illustrated last week, we hope to receive meaningful suggestions and input from a range privacy stakeholders. Their continued involvement will be key for the future of consumer protection and we need your help to make it a success. As part of our ongoing efforts to make government more accountable to the American people and cut wasteful spending, this afternoon I had the honor of swearing in nine new administrative patent judges who will help reduce patent backlogs. These nine talented and dynamic individuals will serve on the Board of Patent Appeals and Interferences in the U.S. Patent and Trademark Office (USPTO), joining the dedicated public servants at USPTO who support millions of jobs in the intellectual property industry. Today, a high share of companies regularly relying on robust intellectual property (IP) protections to attract investor capital and stay competitive. These IP-intensive firms create an average of three million U.S. jobs per year. More than ever, we must be efficient and effective in helping entrepreneurs protect their intellectual property. America’s entrepreneurs are the primary source of new ideas that drive innovation. 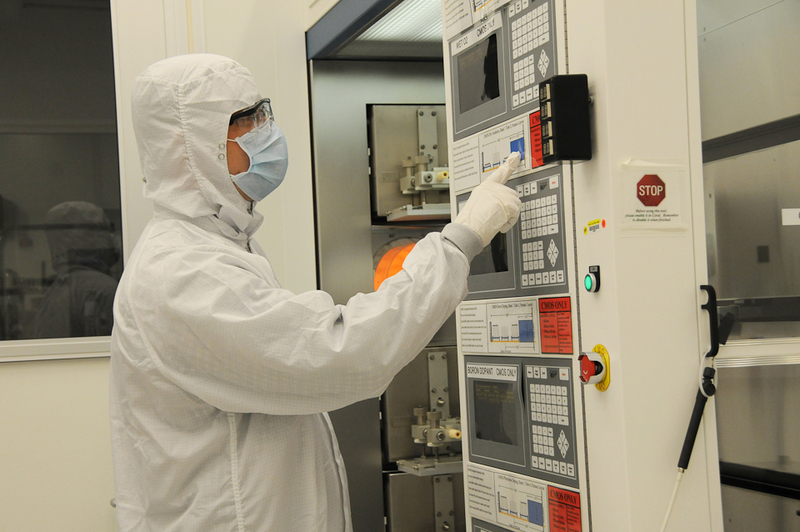 Entrepreneurs provide us with better production processes, new advances in health, and improved consumer products. These are people who can move from ideas to products and from products to the marketplace. These activities strengthen our economy and our global competitiveness. And they create jobs. 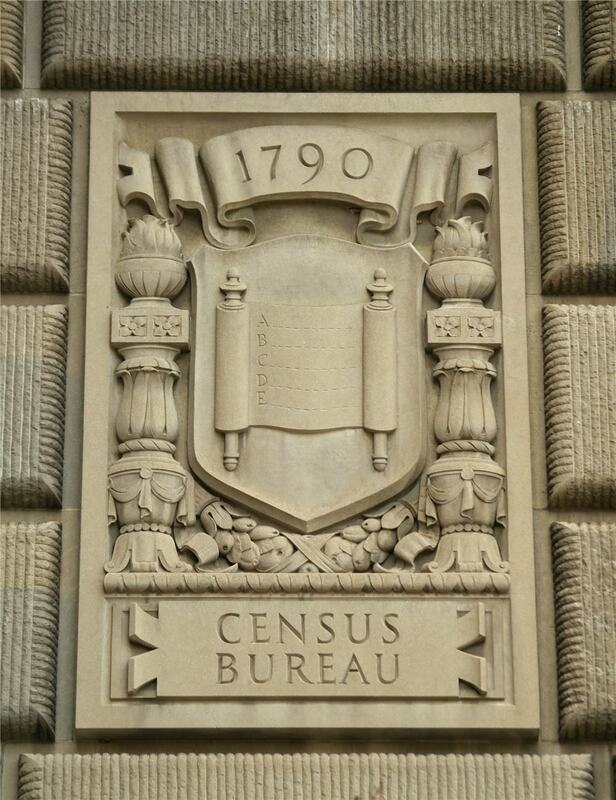 Today is the anniversary of Congress passing the Census Act of 1790. President George Washington signed the law, which authorized the collection of population data by U.S. Marshals. Although the act included the specific inquiries marshals asked at each home they visited, they did not receive printed forms on which to record the data. Marshals used their own paper and designed their own forms—a practice followed until the U.S. government began supplying printed census schedules in 1830. Census Day was on the first Monday in August 1790 and was conducted under the supervision of Thomas Jefferson. Today, the law requires that the census be conducted on or about April 1, and every ten years after that. The most recent decennial census was conducted in 2010, on time and under budget. 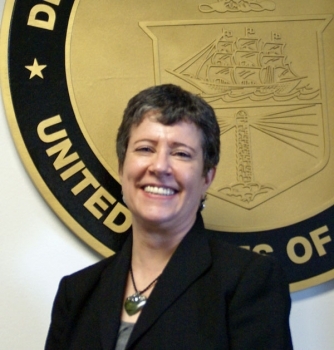 The Census Bureau is part of Commerce's Economics and Statistics Administration. 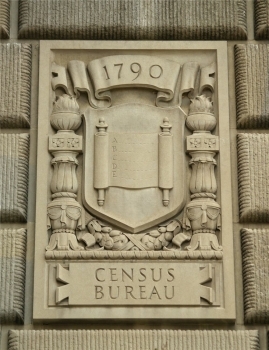 The image here is a limestone relief by James Earle Fraser, one of many panels adorning the Department of Commerce headquarters in Washington, D.C.
For more information about the first, 1790 Census, visit Census 1790 Overview and 'Pop' Culture: 1790 Census Facts.